Verizon said it will reorganize into three business units that are focused on 5G customer experiences. The telecom giant’s three operating units will revolve around consumer, business and Verizon Media Group/Oath. Verizon said it will centralize network and IT and corporate functions to serve those units. The reorganization will be effective Jan. 1. Verizon said its financial reporting will reflect the new structure in the second quarter. CEO Hans Vestberg said the structure the customer facing units will “optimize the growth opportunities in the 5G era.” Verizon’s global network and technology group will be led by Kyle Malady, current chief technology officer. 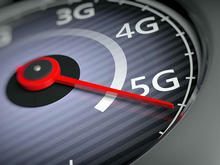 Of the three units, 5G is likely to have the biggest impact on the business group. Intelligent edge applications, the Internet of things and analytics are likely to be improved with 5G. Verizon Business Group is likely to show the most growth going forward, but the wireline business may be a drag for the unit overall.